Aldrich Hall was made possible through a gift from John D. Rockefeller Jr. and is named in honor of his father-in-law, Nelson W. Aldrich. 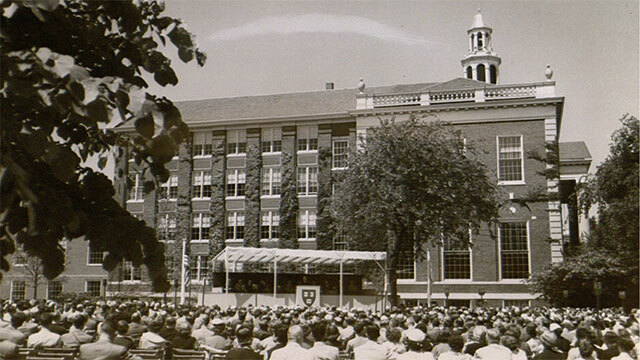 When it opened in 1953, Aldrich Hall provided much-needed classroom space on the HBS campus. Plans for a dedicated classroom building had been eliminated from the 1920s campus construction for economic reasons, and growing enrollments in the wake of World War II stretched the limits of provisional facilities in Baker and Carpenter Halls. 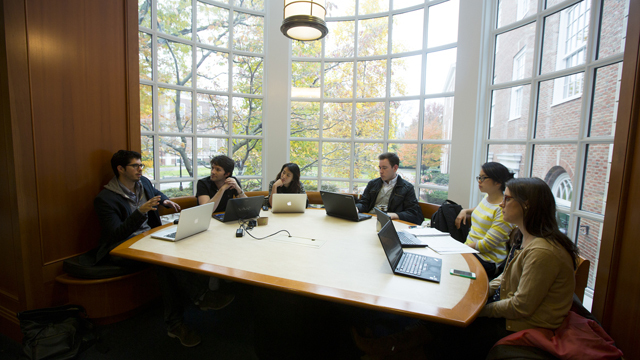 With extensive input from Dean Donald K. David and HBS faculty—and research that included the construction and testing of a full-size classroom prototype on land behind Baker Library—the architectural firm Perry, Shaw, Hepburn & Dean developed a revolutionary horseshoe-shaped classroom layout specifically designed to facilitate case-method teaching. Features such as tiered, swivel seating along curved, continuous writing surfaces; moveable blackboards and projection screens; and several different kinds of lighting were radical at the time, but ideally suited to the dynamic interactions among students and teachers during case-method discussions. Aldrich’s 17 classrooms are situated in an edifice supported by unusually long I beams, intended to facilitate future reconfigurations. However, when the 105,726-square-foot building was updated in the 1980s, its basic design, acoustics, sight lines, and lighting were all deemed to have stood up well to the test of time, and no extensive changes were made. The latest renovations to Aldrich Hall were made in 2004 when extensive technology upgrades were made including three projection zones, audio- and video-conferencing capabilities, an in-room camera for recording classroom sessions, at-seat student polling, and wireless network access. The building earned LEED Silver certification in 2006. On the occasion of its 25th and 30th Reunions, the MBA Class of 1971’s fundraising efforts were directed to support the physical renovation of Aldrich Hall and enhancement of the technology within the classrooms. In recognition of this support the School created the Class of 1971 Courtyard, which includes a wall inscribed with the words “Excellence, Integrity, Leadership” and lists the leadership donors Steven B. Belkin, Michael Porter, Joseph J. O’Donnell. Other major donors were also recognized with a named classroom, the Franklin R. Anderson Classroom; and named alcoves, for William C. Landreth, Joseph H. Wender, and Philip M. Young. Aldrich Hall is made possible by a gift from the only son of the legendary businessman and oil tycoon John D. Rockefeller. 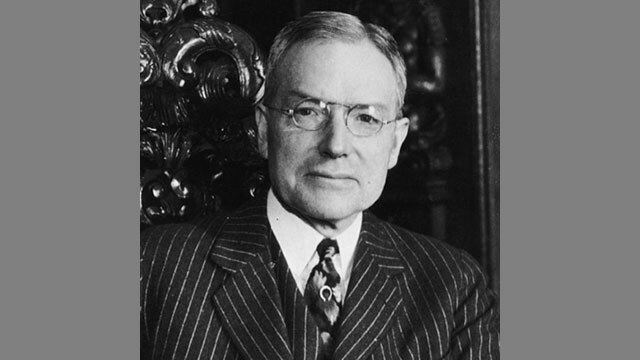 John D. Rockefeller Jr. was a noted philanthropist who believed that wealth should be “an instrumentality of constructive social living.” In that spirit, he was president of the Rockefeller Foundation, funded the restoration of Colonial Williamsburg, purchased the Manhattan acreage that became home to the United Nations, purchased and donated thousands of acres of land to national parks, and—in 1949—funded Harvard Business School’s new classroom building. 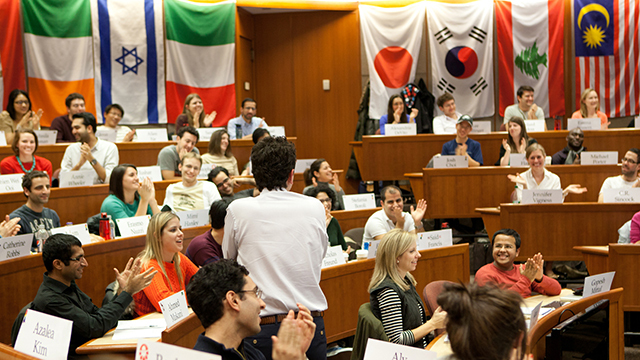 Aldrich began his career as a grocery boy, and Rockefeller believed his rise to power represented the kind of “individual initiative” that was fostered by Harvard Business School’s approach to enlightened management. 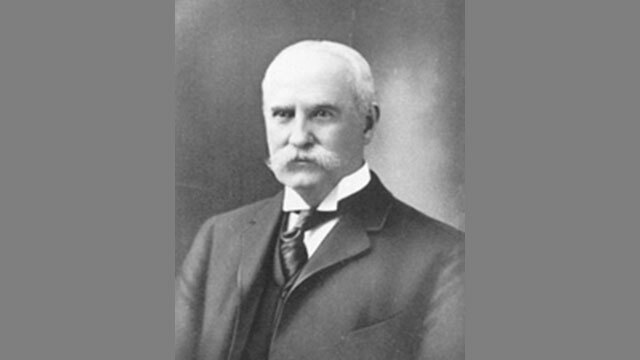 In providing the funds for an HBS classroom building, Rockefeller honored his father-in-law’s accomplishments and registered a vote of confidence for the School’s mission. 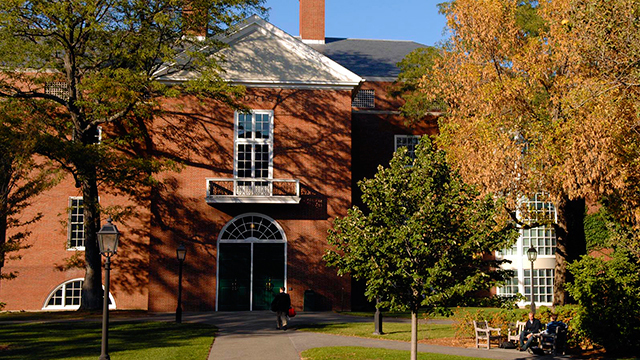 The financing of Aldrich Hall is the Rockefeller Foundation’s second major gift to the School. In the 1930s, the Foundation provided seven years of generous funding to support research at the HBS “Fatigue Laboratory,” which conducted research that tested the productivity of industrial workers in locales ranging from the basement of Morgan Hall to Colorado’s Boulder Dam. In December 1926, Aldrich’s eight children donated his collection of publications on banking and finance to Baker Library. They also donated furniture and decorated a room to house the collection in Baker Library. The “Aldrich Library of Finance” was installed the following spring and remained a separate collection until it was assimilated into the larger Baker collection.